If you’re like us and you love that dentist-clean feeling, you’ll love Listerine Ultraclean Mouthwash! 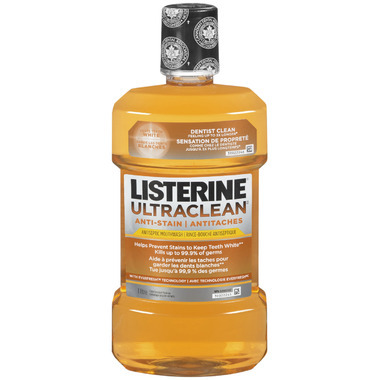 Using Everfresh technology to provide a dentist-clean feeling that lasts up to 3x longer than brushing alone, Listerine Ultraclean Mouthwash provides a healthy smile, delightful breathe, and a fresh taste without ever leaving your house. Feel refreshed and ultra-clean with your choice of Arctic Mint or Cool Citrus flavours. Always follow the label on this product! Do not swallow or ingest this product.